Arrive in Hong Kong, the City of Life. You will be met and transferred to the hotel. In the evening, we recommend the Symphony of Lights Dinner Cruise (optional). This morning, enjoy the Hong Kong Island tour including TSL Workshop, Factory Outlet and Avenue of Stars. 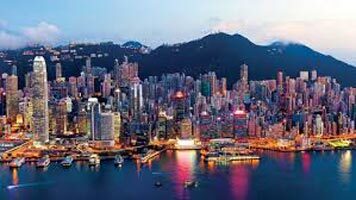 In the evening, we recommend you take the optional Hong Kong By Night Tour which includes The Peak - Hong Kong’s No.1 tourist attraction, Madame Tussauds Hong Kong which is a fun and interactive celebrity experience and the Night Market, a popular street bazaar full of tea ware, electronics, watches and garments. After breakfast, get ready to visit Ocean Park Hong Kong. Come face to face with more than 100 sharks and rays in one of the largest shark exhibits in Asia, Shark Mystique. Start your discovery at Aqua City, an immersive ocean-themed area. Be amazed by Symbio, the world’s first 360-degree water screen show, playing every evening at the Lagoon! Take the iconic Cable Car to Ocean Theatre and catch “Ocean Wonders”, featuring dolphins and sea lions! Experience the Park’s wildest roller coaster, the Hair Raiser! Take a trip to Old Hong Kong, a gateway into the city’s golden age of the past. For a cool experience, take a ride on the Arctic Blast to the Polar Adventure. Today, proceed to the pier for your ferry to Macau also known as ‘Oriental Las Vegas’. Being Asia’s well-known gambling mecca, Macau is a place to find the traditional Chinese culture while enjoying the exotic Portuguese buildings. Check in to the hotel upon arrival. In the evening, we recommend the world’s largest and most spectacular water-based show, "The House of Dancing Water". Explore this quaint city on the city tour of Macau. Visit the Ruins of St. Paul’s Church, A-ma Temple - the most famous and picturesque temple in Macau and the Macau Tower. The evening is free to try your hand at gambling at one of the many casinos. The morning is at leisure. 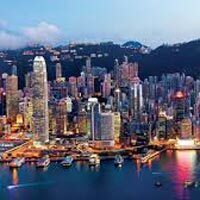 Later, you will be picked from the hotel lobby and transferred to the ferry terminal to board your ferry to Hong Kong airport for your flight back home.